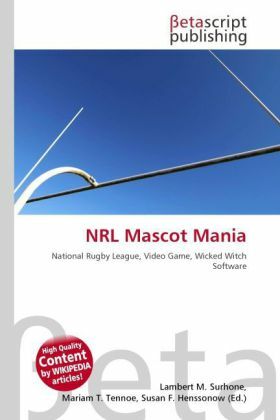 The game will bring NRL teams mascots to life in an action adventure. There are 48+ levels, 16 playable characters and numerous mini-games including an unlockable mini-game of Rugby League. Each team has its own themed world, with 3 levels, including 1 boss arena. All the team mascots come with their own powers which you use to defeat the enemies. Abilities include fiery fists & ground smash. Your character will face other teams mascots in 'boss battles'. Players can also collect and trade NRL playing cards wirelessly in the game. As well as collectable cards, gold can be found around the game world to purchase the cards from an ingame shop. The cards are used to unlock players for the minigame.